The sale was officially executed on Aug. 30 at a price of $20,999,998. As OKCTalk was first to report, the local bank placed the property under contract in May after their bid was selected by the bankruptcy administrator who was empowered by a San Antonio court to oversee the liquidation. The same court later approved the final terms and sale. As it was working to complete the purchase, BancFirst was concurrently negotiating with the city to purchase the adjacent Santa Fe Parking Garage, essentially splitting the cost and spaces with another downtown employer, Continental Resources. 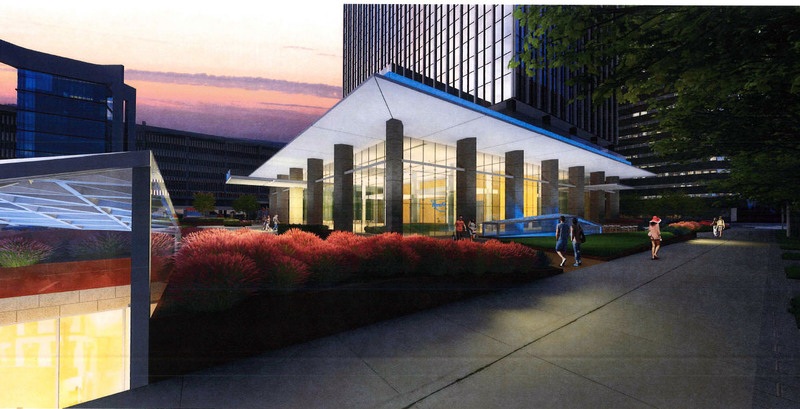 At the same time, the bank and city collaborated on another parking garage, a proposed structure by developer Don Karchmer to be located on the east side of the railroad tracks. 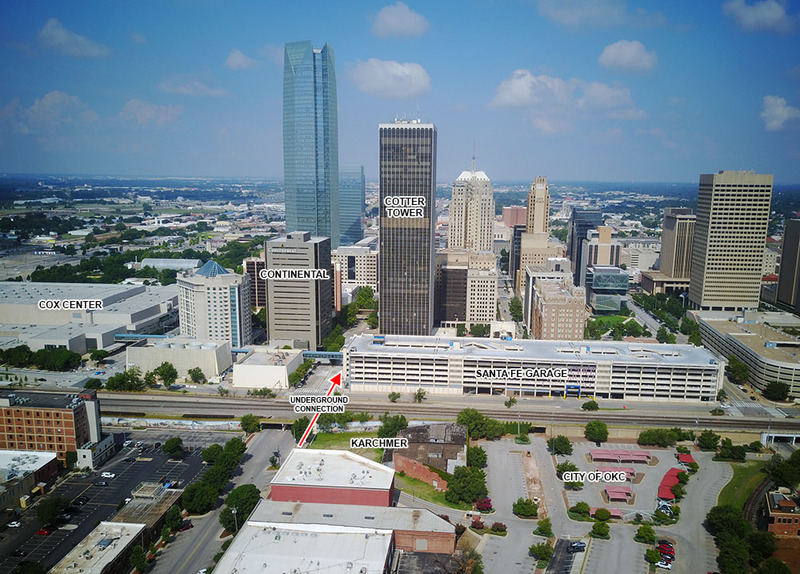 In a move that drew criticism from Ward 2 city councilman Ed Shadid, the city, BancFirst, Continental and Karchmer negotiated in relative secrecy before OKCTalk revealed the pending garage deals. The deals ultimately became public through a city council agenda published on a Friday afternoon in advance of a Tuesday morning vote. These types of non-public meetings later led Shadid to threaten the city with legal action due to the possible violation of state open meetings laws. On that larger matter, there are ongoing discussions between the city and Shadid and his attorney. The proposed Karchmer garage involved selling city land for what many viewed as below market rates. Both Shadid and Ward 5 councilman David Greenwell protested the selling price and voted against the land sale to Karchmer, although the measure did ultimately gain majority approval by the body. Eyebrows were further raised when the following week Karchmer sold property just blocks away that — when compared on a price per acre basis — was more than 20 times the amount he planned to pay to the city. BancFirst officials repeatedly maintained that the bank could not purchase Cotter Ranch Tower without having both parking garage issues resolved in order to accommodate its own employees and future tenants. 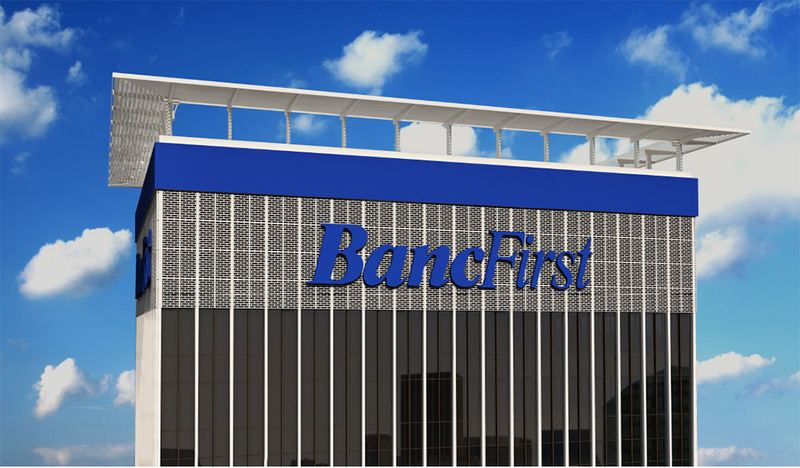 Court records show that BancFirst was one of many bidders for the tower and it offered cash without the need for a financing contingency. That factor was mentioned in legal documents as one of the deciding factors in its favor. 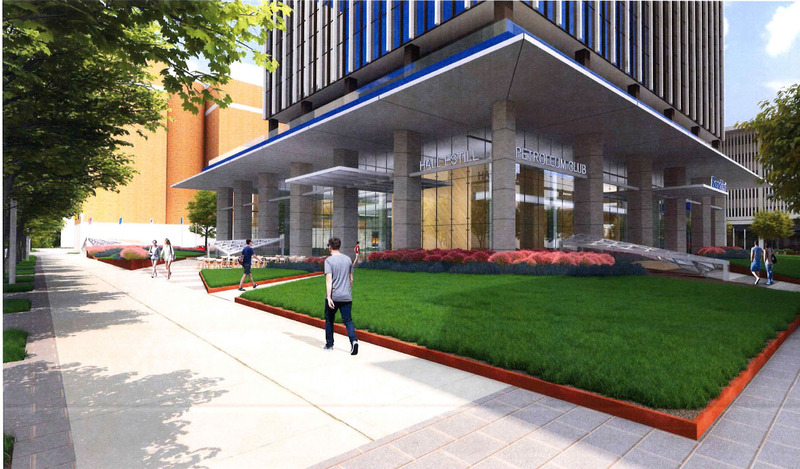 In July, BancFirst filed renovation plans with the Downtown Design Review Committee, which later reviewed and approved extensive changes to the exterior of the structure, including a distinctive new crown and large lighted signage and 10-foot blue band on the top floors. According to the submission by BancFirst, the large and dated surrounding plaza will also get an extensive makeover with completely new paving, extensive landscaping and seating areas. Several exterior columns will be removed from the ground floor and replaced with only half as many modern versions. The bank also plans major interior improvements, most noticeably in the lobby, which will be fully renovated with new flooring, ceilings and general finishes. The building will also require major mechanical and electrical upgrades. The sale ends a 14-year ownership by the Cotter family. That tenure was marked by frequent complaints about the lack of basic maintenance, and a slow bleeding of tenants resulted in a near 50 percent vacancy rate. Cotter paid $27.9 million in 2004 but did little to upgrade the already aging property. 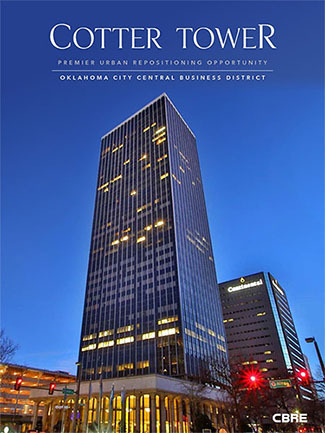 Originally built as headquarters for Liberty Bank in 1972, at 500 feet it reigned for almost 3 decades as Oklahoma City's tallest building until completion of Devon Energy Center in 2012. BancFirst will be moving its headquarters and banking operations from a building it also owns directly to the west at 101 N. Broadway Ave., and then hopes to lease the remaining space. Before substantial work can commence, building permits will be required. As of yet, no permit applications have been filed and approval for larger projects often takes several months.